ECE designed the scheme to allow planners to support an increase in the building scale with additional units. The angled design meant that a greater number of units benefitted from a sea view, adding sale value to the development. ECE proposed the removal of an existing dilapidated building and the regeneration of the street scene with a building that responded sympathetically to its context. 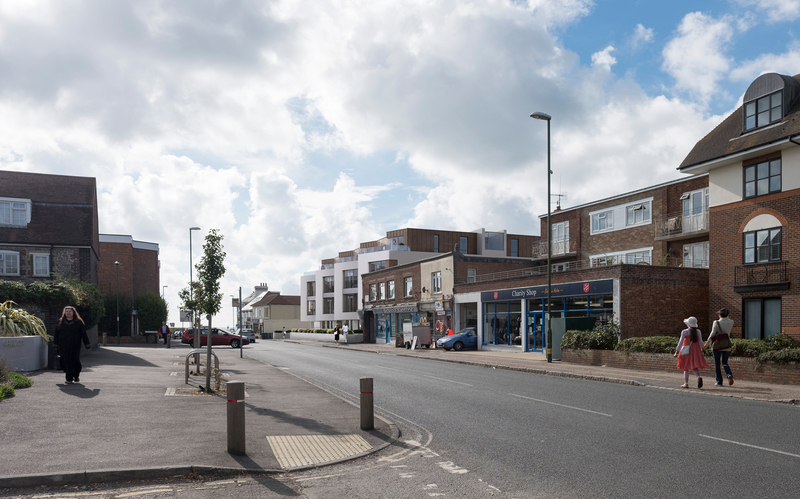 ECE and Roffey Homes are successfully collaborating on the redevelopment of the Bell Memorial site in Lancing. 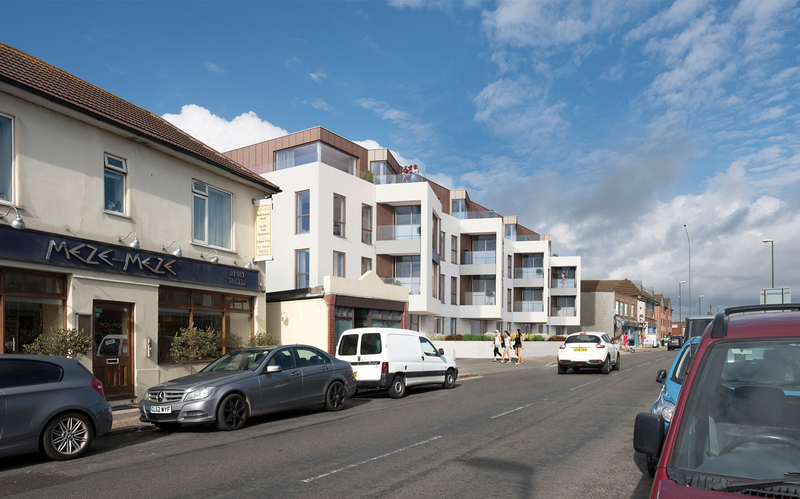 We are excited to confirm that planning has been submitted for 32 new apartments as part of the regeneration of Lancing seafront. Creating a positive addition to the location that binds the street with the sea front. 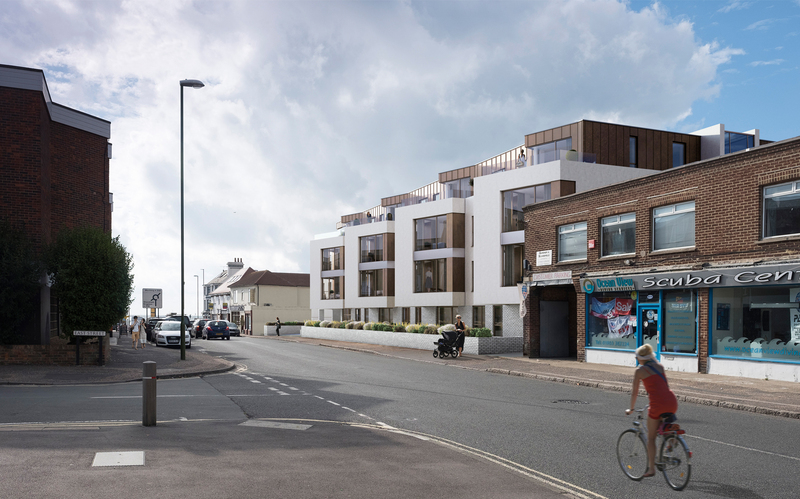 The design of the scheme and the proposed materials strongly reflects the desire of the client to create a high quality residential development utilising traditional materials found within the site’s locality and therefore compliment the surrounding context. All residents’ apartments have private external amenity. The majority have either balconies or terraces, while the ground floor apartments have private gardens.